The 10 Best Pet Stores in Iowa! Whether you’re looking for a new best friend or a few treats and supplies for your current one, Iowa has a high-quality pet store for you. Ranging from wet pet outlets to full-on dog boutiques, within the many different pet stores you’ll find in Iowa you can choose from toys and accessories, to grooming and adoption services. Here are the 10 best in Iowa. Standing with a firm belief that the best pets are wet pets, the Wet Pet Outlet in Hardin County has all the supplies, food and aquatic life to stock any aquarium. Whether you are a first-time buyer or experienced aquatic animal lover, the Wet Pet Outlet has everything you need to fill, fix and upgrade your aquarium. Featuring a wide selection tropical fish including their house specialty, the African cichlid, whatever species you’re looking for, the family-owned Wet Pet Outlet has all the fish and fish colors found under the rainbow. Providing grooming, nutrition and supplies, Wholesome Pet Essentials of Ankeny strives to provide a full life for the furry friends under your care. Whether you are looking to get a summer haircut for your dog, high-quality cat food or supplements, or accessories and toys for any pet in your life, the animal-loving staff of Wholesome Pet Essentials is there to help you out. Providing both dog and cat grooming, a unique feature of Wholesome Pet Essentials is their self-washing dog station that includes towels, shampoo and a mess that you don’t have to clean up when you’re finished. Located in the East Village of Des Moines, Jett and Monkey’s is a dog-friendly pet boutique that specializes in eco-friendly and high-quality pet products. The toy selection at Jett and Monkey’s includes tuggers, squeakers, and plenty of chewing opportunity. Other products that are commonly found at Jett and Monkey’s includes dog beds for all shapes and sizes, adorable and functional apparel to adorn on your dog and fashionable collars, leashes and harnesses. Whatever size of canine you consider your pet, they’ll be sure to find something worth wagging at tail for at Jett and Monkey’s. Carrying both the animals and the food to feed them with, the locally owned Randy’s Pet Shop has been providing the city of Ottumwa with a great selection of pets for over five years. While the selection of new friends in the form of fish, dog, cats, reptiles and other worms makes Randy’s a fun place to visit, the true secret to the business is the love they share with each animal that leaves the door. With enough food supplies and accessories to keep any pet healthy and happy for years to come, Randy’s Pet Shop can play a significant role in the life of the little animal that you love. Family owned and operated for over 17 years, the Dog House Etc. has facilitated many happy relationships in their tenure as a pet shop. 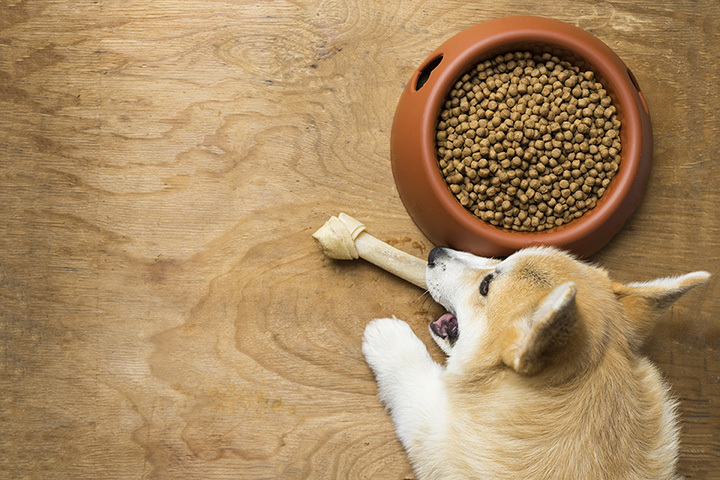 With a wide selection of food and accessories to go alongside the pet adoptions, they’re aiming for the long haul when it comes to your pet’s well-being. Featuring puppies, kittens and many small pets including fish, birds and reptiles, the Dog House Etc. has perhaps the most extensive collection of future pets out of any local pet store in Iowa. Also offering boarding services, it’s always good news for your pets when they are sent to The Dog House. Serving a reputation for being a little store with a big heart, Treats on a Leash provides the perfect outlet to pamper your pet and provide the love they deserve. This quaint little pet shop is stacked to the brim with things dogs love, including treats ranging from specialty birthday bones to puppy ice cream. Treats on a Leash also carries premium dog food catering towards a variety of diets, as well as an extensive selection of engaging and fun toys for your dog to chew or play. A unique feature of Treats on a Leash is their Rainbow Bridge services and products for recently deceased pets in your life, including memorializing urns, memory frames and grief journals. Welcome to the Bird Cage in Council Bluffs, your one-stop shop for all your pet and pet supply needs. While the Bird Cage of course sells a variety of birds and bird accessories, they also specialize in puppies, kittens and reptiles. So whatever you’re looking to adopt, or whatever kind of animal you find yourself taking care of, throughout the aisles of the Bird Cage you’re sure to find what you need. With grooming and vet clinic services available as well, from head to toe and from adoption to diet, the Bird Cage is a great pet shop with the animal’s interest always at heart. With a location in both Iowa City and North Liberty, there is double the chance of getting all your pet supplies taken care of at Leash on Life. Locally owned and community supported, Leash on Life loves the pets, the community and the many people who walk through the door (in that order). Whether you are looking for the right dog food brand for your best friend, or a great toy that your cat will actually be interested in, or even professional photographs of your photogenic or not so photogenic family pet, Leash on Life should be the first place you go. With over 90 years of experience, Teske Pet & Garden of Bettendorf can ensure that all you home, lawn and pet care needs are taken care of. Outside of plant supplies and pest control items, Teske also offers a wide range of food, toys and accessories for all types of pets. Whether you are looking for your dog’s next favorite chew-toy, or for a way to transport your cat in the car, not only will you find what you’re looking for on the shelves of Teske Pet & Garden, but chances are you will also find a friendly employee ready to help you get the right product that’s meant for you. Providing “Spaw Days” for pampered pets, Freddy’s Fritters Dog Bakery & Boutique is a one-stop shop for all the finer things in the life of your dog. Featuring homemade and gourmet treats, Freddy’s Fritters also supplies services like facials, luxury baths and styling for your canine companion. If you feel like your dog has been extra deserving, or you just recognize the outstanding work done by the professional groomers and bakers of Freddy’s Fritters, then this Dubuque dog boutique is right for you.